Happy Funny Bone Monday! Today is my mom’s birthday, and you only turn 70 once, so we’re going to be watching birthday dog videos, as well as taking a peek at some of my mom’s work. Let’s start with some funny birthday dogs, shall we? You guys! I want to do this for Chewy! And put little bits of Jones Natural Chews Beef Liver Taffy under the balls. Wouldn’t that be FUN?! He’d go NUTS! Let’s take a look at one of my mom’s new pieces before watching another fun video. 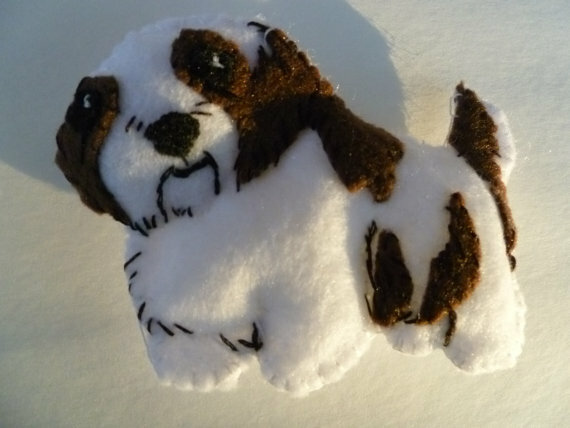 This little Shih Tzu ornament would look perfect on any dog lover’s tree. Or anywhere in the house, all year long. You can find it here! That made me laugh so hard and I don’t know why. The wagging tail? The commanding way the dog smacked the plate? Hilarious! Now, watch this next dog get the best birthday present EVER. Rhett and Scarlett. What’s not to love? Even more love? 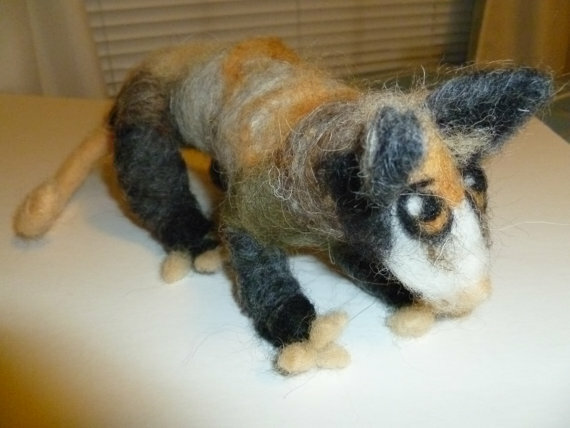 My mom’s newest venture – needle felting! Check out her possum. I think it’s my new favorite. I love, love, love this next video. Listen closely at the end before you get upset, though. “You can’t take her home today because she’s too little.” I love that this adorable puppy is her birthday gift, but that it’s not leaving mom till it’s ready. Now, I’ll leave you with a feel good birthday dog video. You’re going to love this one. Pinky swear. Ah! Ah! Just where do you think you’re going?! Have you entered our Dino Bone giveaway yet? Your dog will be SO upset if you don’t enter! I’ll be a little miffed myself. Do it now! Then pop over and like our Facebook page. I’ve scheduled all kinds of cute dog photos to pop up there this week and you won’t want to miss them! Now go give your dog a Jones Natural Chew and watch it smile. Naturally.